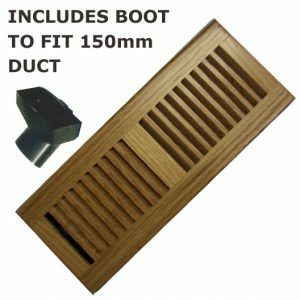 A 300mm x 100mm high quality woodern floor vent which provides a modern look. 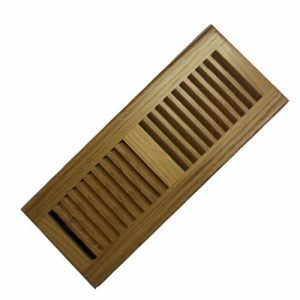 These floor vents have a smooth, fully closing damper operation with flush button control mechanism. Made from fine quality oak. These floor vents have a smooth, fully closing damper operation with flush button control mechanism. 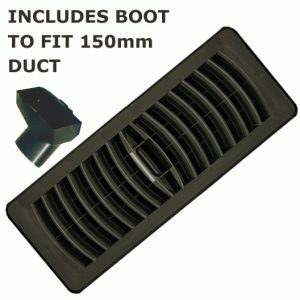 The vent also comes with a 300mm x 100mm boot that can connect to 150mm flexible ducting. 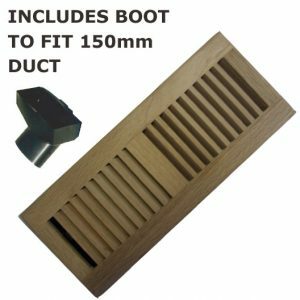 A 300mm x 100mm plastic floor vent which provides a modern look, with slightly rounded corners. Super high strength – compared to polycarbonate vents. 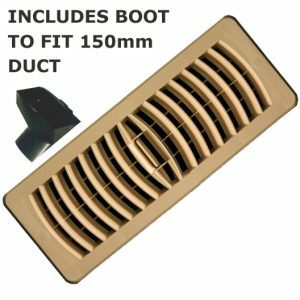 This is a 150mm vent, it is a terracotta colour and has been treated to be safely placed outside. 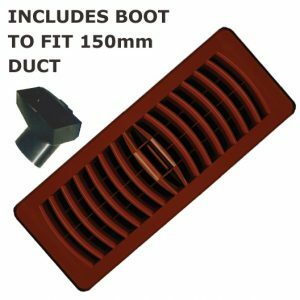 This is a 125mm vent, it is a terracotta colour and has been treated to be safely placed outside. 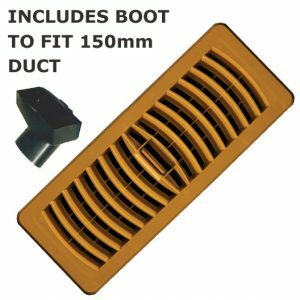 This is a 100mm vent, it is a terracotta colour and has been treated to be safely placed outside.